HTC launched another device called HTC ONE M8 in April 2014 after the first HTC One M7 was launched a year earlier in 2013. I love HTC phones because of their great quality and awesome after sales support. I never expected that they will give me a brand new phone after there was some problem in my battery and phone. I got to review the HTC M8 some days back and I was totally amazed by the upgrades it offered on my earlier version of the device. This blogpost is written after the unit is back in the office of HTC's PR agency. I thank them for organizing a HTC ONE M8 for me and it came in a mint condition & it felt great to unbox the device myself. 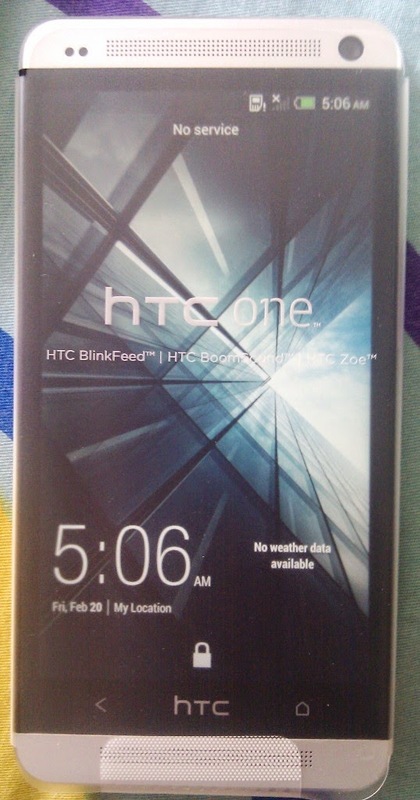 Check out the post on HTC ONE M7 which I did earlier and now I am comparing the phone with this latest version from HTC. 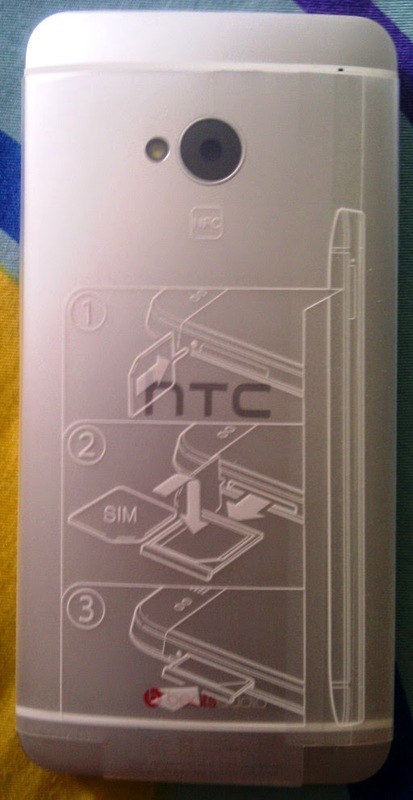 HTC ONE M8 package contains the HTC One mobile, charger, usb cable, noise isolation HTC earphones and a HTC silicon cover for mobile and a pin to open SIM tray and micro-SD card tray. Also the M8 device takes nano-SIM as compared to M7 which uses micro-SIM card to connect to the telecom providers. 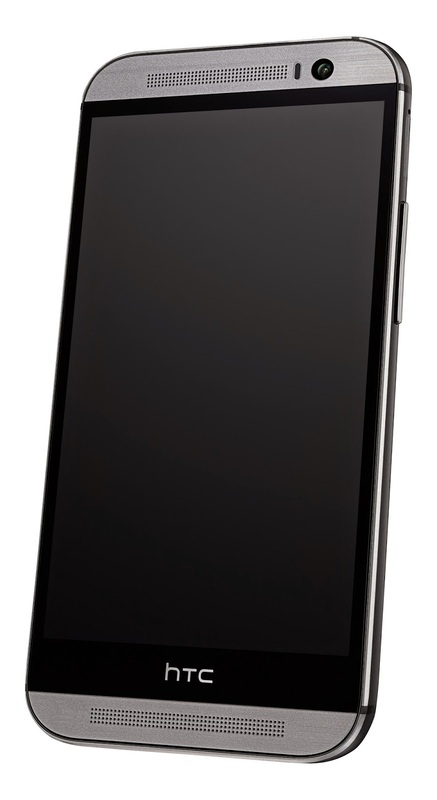 The device is around 160 grams of sleek metallic design from it's predecessor with great effects on the aluminum back. 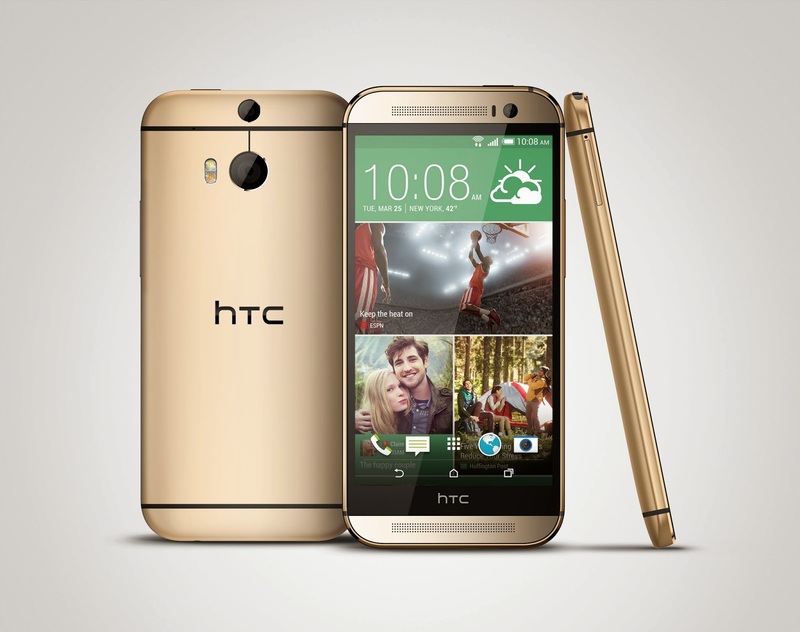 HTC One M8 has 5inch Full HD 1080p display (441ppi) which can bring all the colors and graphics to life. The device has enough processing power to take care of everything you throw at the device. It is made possible by the Qualcomm Snapdragon 801 quad-core CPUs and 2GB RAM. The phone comes in various inbuilt memory capacity of 16GB and 32GB. You can increase the storage capacity of the phone by using an micro-SD card upto 128GBs. The battery capacity is 2600mAh which can easily last a day on moderate consumption of data and calls. It lasted me around 13-14 hours on continuous usage of 3G data and calls. HTC One M8 has some unique changes to the predecessor M7 in terms of camera, style, size and panel buttons. The polycarbonate sides on M7 are now covered with metal finish which makes it unibody design and the phone looks highly expensive and great in your hands. There are no buttons on the bottom of the phone as in M7 as all those three capacitive buttons are moved to the on-screen software buttons. So if you upgrading to M8 from M7, it will be annoying in the start as you will take some time to adapt to the same. But it also solves the bigger problem of touching the back button and going out of the apps or games you are using at that moment. In M7, that was one of the problems critics said a lot about. HTC improved the same in this new version of the smartphone. The screen size has been increase marginally to 5 inches making it more attractive to customers wanting big screens but not going into the phablet range. The display is protected by a layer of Gorilla Glass 3 with scratch resistance coating. I have never used any protective film on my M7 and there is no line or scratch on the same till now. M8 has improved protection so I hope there will be no scratch on the same too in the longer run of the phone. Motion Launch also helped phone to be opened using double tap on screen as well as turning the phone horizontally & by pressing the volume key opens us camera app. BeatsAudio in M7 was replaced by BOOMSOUND stereo speakers in M8 with improved sound quality by more than a margin for audio enthusiasts. Literally, HTC One M8 has the highest volume levels while playing any audio or video among all it's competitors. Harmon Kardon edition of the phone was also launched in USA which offered HK earphones and HK software etc. The audio quality was superb when I used my BOSE inearphones with Boomsound switched on. It was much better than the M7 which I am using at the moment. The HTC earphones that comes packaged with M8 are very much similar to M7 so there is not much improvement in the same. Finally the dual camera on the phone was a welcome move and brought a lot of features to HTC One M8 for the photography enthusiasts. The device has dual tone flash now along with main camera as Ultrapixel camera with 2.0 µm in size. The second camera captures the depth details of the photograph clicked and then you can make changes to the same using UFOCUS to bring depth of field effects that DSLR can bring to the images. Also, it can take some 3D images which is really cool to capture some extra detail which gives some great effects on the M8 screen. There are many more modes and filters that can be applied to your photographs in the new HTC One M8. The phone can be upgraded to the latest Lollipop android OS making it a great performance smartphone in all departments be it calls, games, graphics, camera, sound or battery life. I would love to buy this phone as the new version M9 has also been launched by HTC on much cheaper prices but for those who wants to enjoy great android experience for the first time, it's a great phone to start with. Even someone who wants to learn more techniques of photography and wants to become country's number ONE instagrammer can use this phone to click and edit some great captures using this phone. HTC products are great in quality and pays the money you spent to buy them in the longer run. I would love to have this phone as a secondary camera for my trips to launch events/product reviews etc to take some amazingly great photographs. My Nexus One died on me as it's power button got broken way back in 2013 and I never wanted to get it corrected as my experience with repair was really bad as I lost my Motorola Rokr to repair before just using it for paper weight. My family said that go and check whichever phone you want in the market for your birthday and then never say again that you wanted that phone and we didn't allowed you to buy the same. I went to check phones at MGF Metropolitan Mall, M.G. Road and came across the phones from Samsung, Nokia, LG and many other OEMs. I saw the various phones and narrowed down my choice to Sasmung S4, Galaxy Note 2, Nokia 1020 and HTC One. I read the reviews from all the tech blogs and really fall in love with Galaxy S4's awesome features, Note2's S-Pen, 1020's 41megapixel camera and HTC One's sleek design and ultrapixel camera. I went back to store and again checked the phones and tested them for video and songs output on my Bose earphones. The moment I switched on Beats Audio on HTC One, the sound quality took my heart away. 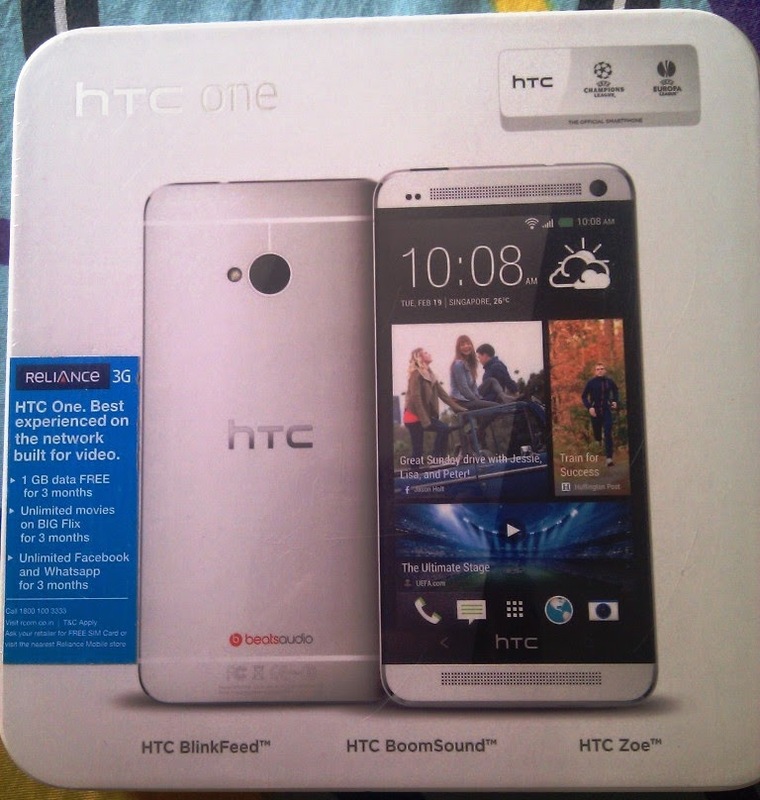 I immediately decided to buy HTC One because at that time, I was using mobile to listen to songs and watching serials and movies most of the time along with twitter and facebook. The audio output on Note2 and S4 was also nice but HTC One has great advantage due to it's Beats Audio software built into it and also of it's BoomSound front speakers which throws sound directly towards your face and ears. I waited again till my birthday for decrease in prices but one fine day flipkart launched a scheme in collaboration with Citibank credit cards for 6 months interest free EMI along with 10% cashback offer. I immediately bought one 32gb version for myself and the phone came with free 8gb Sandisk card and Eveready Portable Mobile Charger.The device package contains the mobile device, one usb cable, charger and HTC branded red noise-isolation earphones with mic. 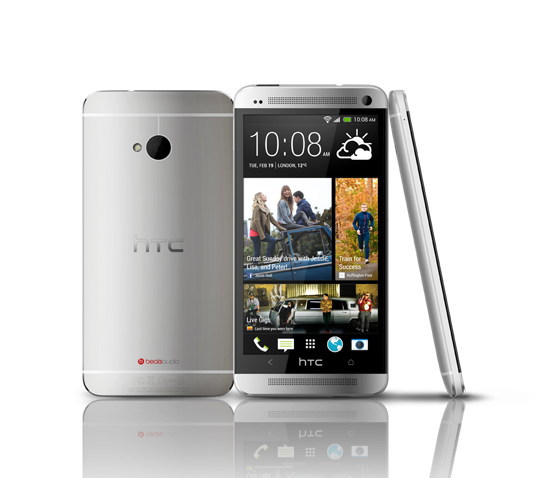 HTC One #M7 has 4.7 inch full HD 468ppi display which shows brilliant colors and video's. The Qualcomm Snapdragon 600 quad core processor has clock set at 1.7GHz to take care of all your apps and games along with 2GB of RAM capacity. The phone has inbuilt 2300mAh battery which can last 9-11 hours based on my high usage of 3G always on and several apps running in parallel. The device looks really awesome and weighs only 143g, moreover aluminium back catches attention of everyone. The device takes micro-SIM into it's slot on one side of the phone. The other side has volume rocker buttons only. The top side contains the power on-off button which also serves as Infra-Red remote along with 3.5mm jack for earphones. The bottom side has mini-USB charger along with a microphone for the mobile calls. The HTC earphones are good for their sound quality but you can use your Sennheiser or Bose for better sound quality. The HTC UltraPixel camera was a breakthrough design with Pixel size 2.0 µm, Sensor size 1/3' and F2.0 aperture and 28 mm lens. The front camera has 2.1 MP camera with 88degree wide angles lens to capture your selfies. The rear camera can take great low light photographs and captures awesome day light photographs. HTC Zoe was also launched which can do Sequence Shot, Always Smile and Object Removals. Zoe was awesome feature as it used to take 20 quick photographs and made them into a video of around 3 seconds. The video captured by the camera is in .mp4 format and slow motion with variable speed playback was a new introduction to this smartphone. HTC Blinkfeed with give you all the latest social media news from your networks along with your subscribed news channels etc on the first page of the phone. Overall, I fell in love with the speed of the phone for my twitter and social apps usage along with high quality video output. I felt that the ultra-pixels images captured by the camera sometimes contains noise when zoomed out and increasing the megapixels could improve the same. The Beats audio and BoomSound remained the love of my life till now on this device. Last year, there was some problems with the battery on my HTC One and they replaced the whole phone within 2 days of my complaint which was awesome service quality from the brand. The phone has the processing power to play most of the high quality graphics games without any lags but phone does gets warm and battery drains very quickly too. HTC Sense always has some great features to use on HTC devices and the phone is now working on the latest Lollipop android OS. Lollipop OS offers some new features on HTC One M7 like floating notifications along with some added new camera capabilities like Camera booth, Split Capture along with earlier features to take selfie, Zoe, video etc. My phone is behaving extremely slow after this first update and I am waiting for the second update to stable the device. I will ask you to wait for the improvement package and continue on the earlier OS on this device. 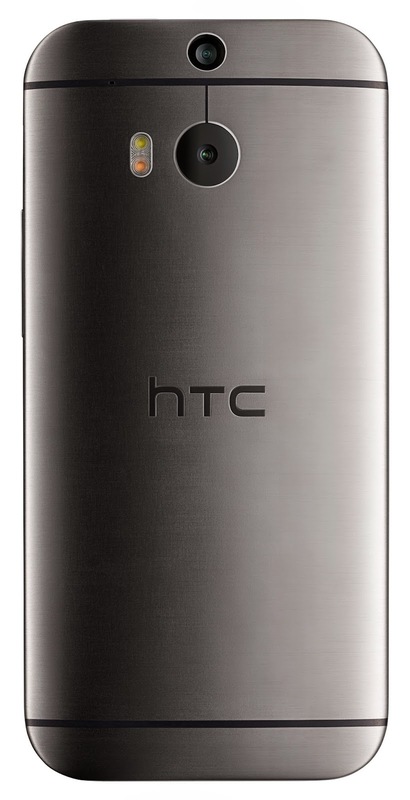 HTC announced new phone and M7 was upgraded to HTC One M8 (#HTCTheOne) and the latest one is HTC One M9 (#HTCOneLife) in the same series of smartphones. Review for these devices will also be done soon on my blog. Internet is what keeps us connected and data is what we are paying for to the telecom companies to stay connected. Smartphones are capable these days with Dual SIM to keep you connected to calls as well as data bundles. I am still using a single SIM mobile phone and data bundles along with calls is very expensive package. I bought only data bundle deal and was searching for something to convert that SIM card to wifi connection. I was using my old Nexus One mobile phone as a portable hotspot but with change to a particular telecom connection, it stopped working as one. I bought Huawei Mobile WiFi E5220 and was very much impressed by the device. The device was easy to setup and takes your regular SIM to connect to your telecom provider. E5220 comes in white and black colors and is less than 30gm in weight. 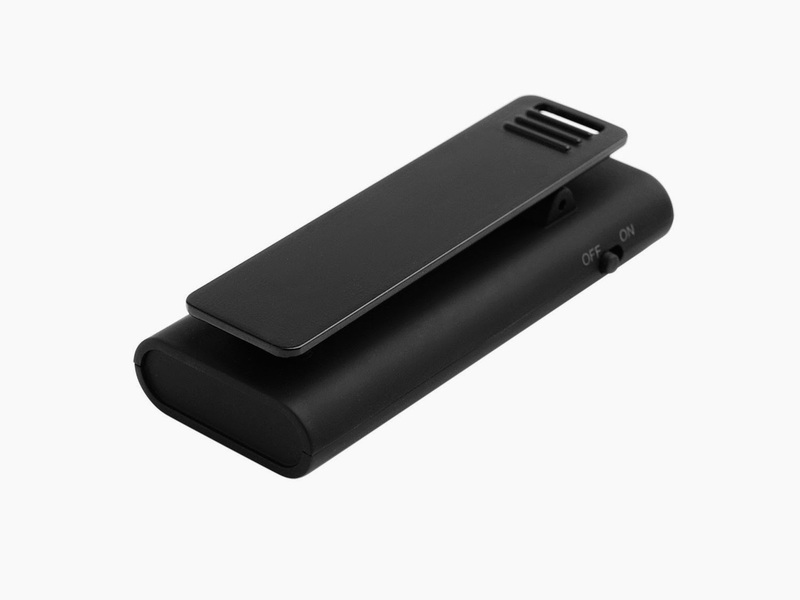 The package contains the main device, rechargeable battery (1150mAh), USB cable to charge the device. You can also use your mini-USB cable to charge the device. Huawei E5220 can connect upto 10 Wi-Fi enabled connections at the same time with devices like tablets, smartphones, laptop and every device which has wifi receiver built into it. LED light display gives you information about the device in use and connection range just like mobile bars. The device can be switched on from the power button on the front of the device. The battery is replaceable and gives upto 4 hours of continuous wifi connection. On my regular usage after using it for 4 months, the battery life has decreased to about 2-3 hours on continuous switched ON. Also sometimes the device hangs and can't be switched on-off then you need to remove the battery and restart the device for a stable connection. The best part is that it can be carried anywhere in your pockets and stay always connected to the internet upto the speed of HSDPA 21.6Mbps/HSUPA 5.76Mbps. The device has internal antenna but sometimes in the basement floors or parking, it doesn't work on the same network based on your telecom providers range. The LED indicators are for Signal, Wi-Fi, Battery and Messages. Signal strength is shown by Green, orange and Red in decreasing order of reception. Battery strength is shown as Green, Blinking Green (charging) and Red as low battery. The wifi device has the same password which is written on the inside of the back cover and can be shared with your family easily. But there is a process to change the same in case someone is using or abusing your expensive data connection. Go to the web management page (http://192.168.1.1) and you can change your SSID and wireless network encryption key using the username and password as admin. Huawei has a Mobile Wifi app also which can control various settings related to the actual device like battery power remaining, SMS and various other reports on data consumed etc. The device has a RESET button to restore it to factory default settings. 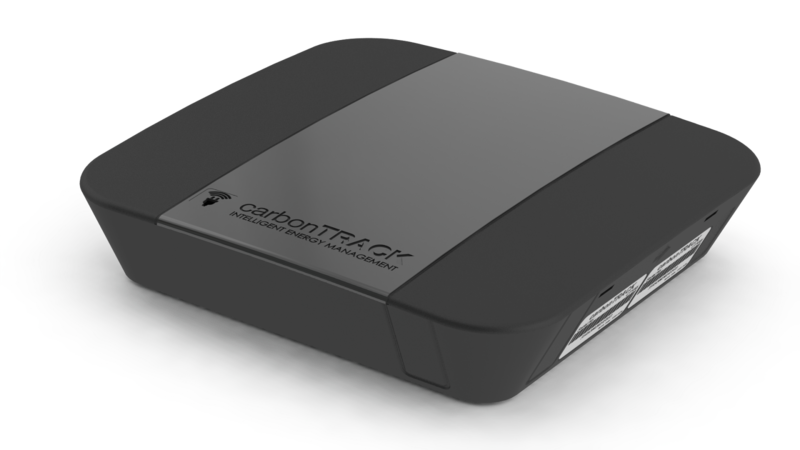 Overall, this is a great device which you can get in the market for around Rs 2500-3000 or R700-800 and it will serve you well for connecting all your wifi devices to internet. 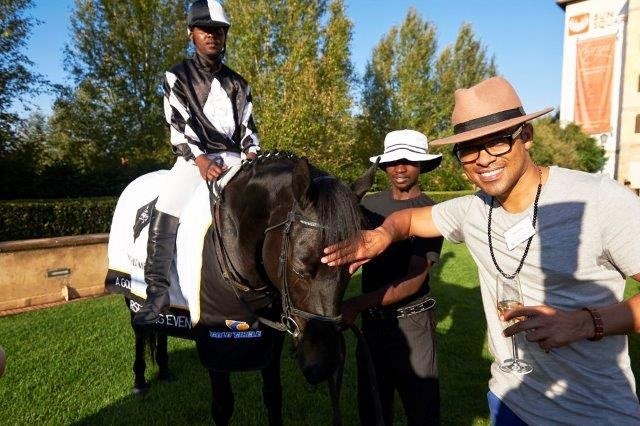 One of South Africa’s top horse racing events and the only sprint event with four Grade 1 races in one day has been given a major boost by virtue of Tsogo Sun adding its name and prestige to the event – the Tsogo Sun Sprint – scheduled to be held on 23 May 2015 at Scottsville Race Course in Pietermaritzburg. First run in 1962, South Africa’s oldest, biggest and richest sprint event, previously known as the Golden Horse Sprint, is one of the six top race days held annually in South Africa and is this year offering over R3 million in prize money. “Tsogo Sun has been a partner to the Golden Horse Sprint for 14 years and is now taking its support to a new level by changing the name to the Tsogo Sun Sprint,” says Jacques Booysen, MD of Tsogo Sun, who explains that Tsogo Sun’s Golden Horse Casino holds the enviable position of being the only casino in Africa to be located on a racecourse. He said, he is excited about this new strategic direction that is seeing the group ‘adopt’ key sporting events to the extent of taking on the naming rights to the event. 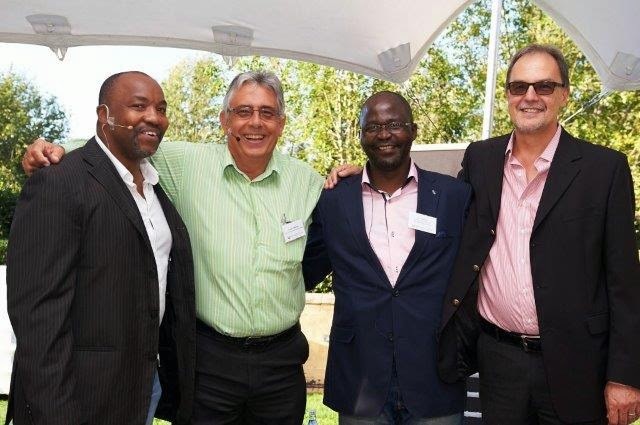 Last year the group launched its headline sponsorship of the Tsogo Sun Amashova Cycle Challenge in Durban, which heralded a new beginning for both brands. It was the first time that Tsogo Sun embarked on a title sponsorship and it was a clear indication of Tsogo Sun’s belief in the cycle challenge as one that has enormous potential for growth and appeal to its target market. The race day will be marketed by Tsogo Sun in nine provinces for the first time, through all Tsogo Sun casinos, on every casino floor and in every hotel room, and on TV and radio. 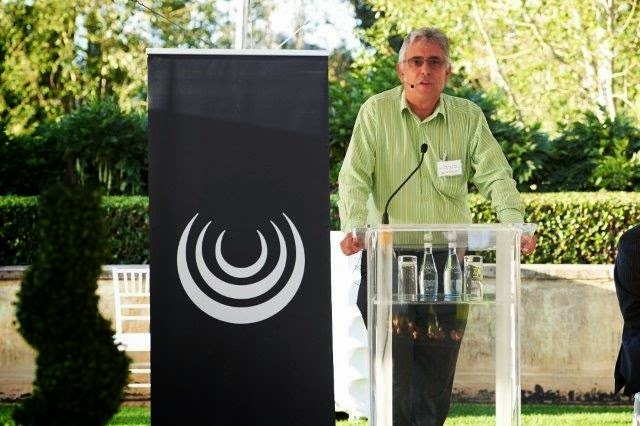 Graeme Hawkins, Racing Director of Gold Circle Horseracing and Betting, says that the significant investment by Tsogo Sun will give the Tsogo Sun Sprint a much-valued boost in terms of positioning Pietermaritzburg as a horseracing destination in South Africa. “Scottsville is a lovely track steeped in tradition, and we believe this new partnership with Tsogo Sun in a top event on the horseracing calendar will bring the horseracing aficionados flooding in to experience the thrills and highlights of the day. 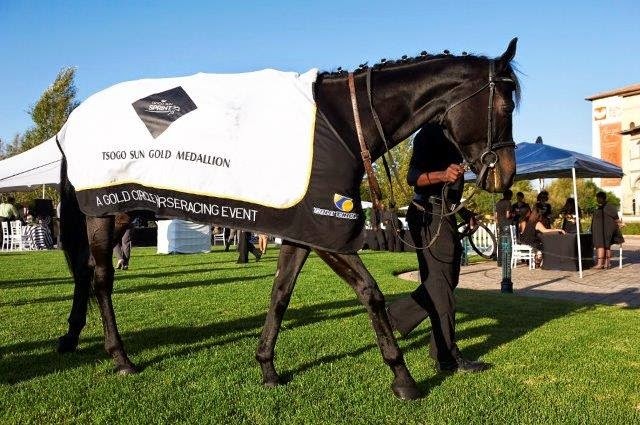 The four Grade 1 sprint races – races with a field of the most elite horses from all around South Africa and offering 1 200 metres of speed, power and skill – include the Tsogo Sun Sprint, an ‘open race’ for both fillies and geldings with a top prize of R1 million; the Tsogo Sun Gold Medallion, a race for two-year-old geldings with a prize of R600 000; City of Pietermaritzburg Filly Sprint, for fillies only with a prize of R600 000; the Allan Robertson (founder of the Thoroughbred Breeders Association of SA in 1921) Championship for two-year-old fillies with a prize of R600 000; as well as smaller charity and other races. Tsogo Sun is the leading hotels, gaming and entertainment company in South Africa, providing a variety of hospitality and exciting entertainment and leisure experiences. Combining an established heritage with a professional and energised approach, the group proudly encompasses 14 casinos and over 90 hotels in South Africa, Africa, and the Seychelles. The company’s hospitality interests offer a wide distribution of hotels in Africa, providing world-class accommodation across all markets, including elegant, individually branded luxury hotels and well-known trusted market leaders in the premier through budget segments, including Southern Sun Hotels, Garden Court, SunSquare, StayEasy and SUN1 hotels. The Walt Disney Company Africa has announced in collaboration with SA Fashion Week,by paying a tribute to the super hero team up of a lifetime – Marvel’s Avengers. 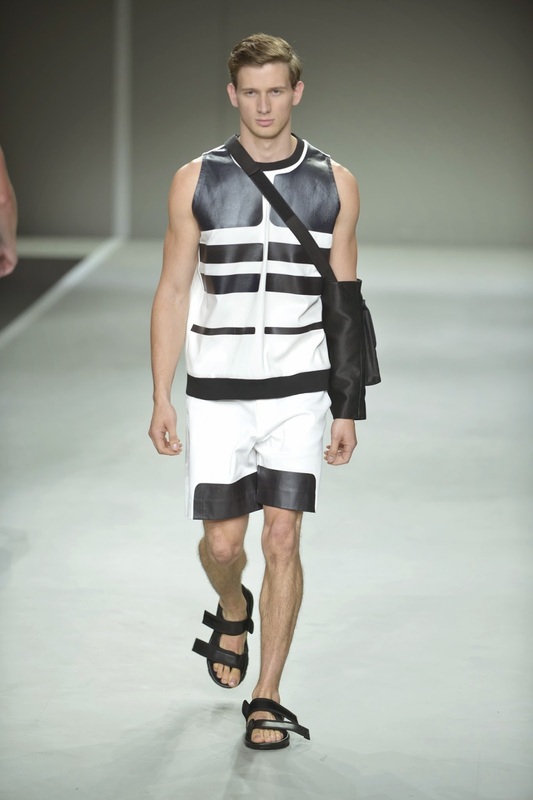 On 21 March 2015, at the ’15 Spring/Summer Collection Showcase, six designers revealed their ready-to-wear lines, entirely inspired by the iconic characters featured in the upcoming 24 April cinematic release of Marvel’s Avengers: Age of Ultron. After a month-long search in December 2014, six designers from across the continent were chosen to showcase their lines at SA Fashion Week. They are South African designers Siyabonga Ntini (Ralfe), Roman Handt (Roman Handt) and Luiz Delaja (M4S) as well as Zimbabwean designer Rumbidzai Muzofa (Rumbie by Rumbie), Zambian designers Christina Kabamba and Donna M’shanga (Kamanga) and South African-based (Spanish-born) designer Amos Tranque (Amos Tranque). Drawing inspiration from Iron Man, Thor, Captain America, Black Widow and The Incredible Hulk, the designers were given free rein to bring each character’s iconic imagery and style to their chosen men’s and women’s lines. 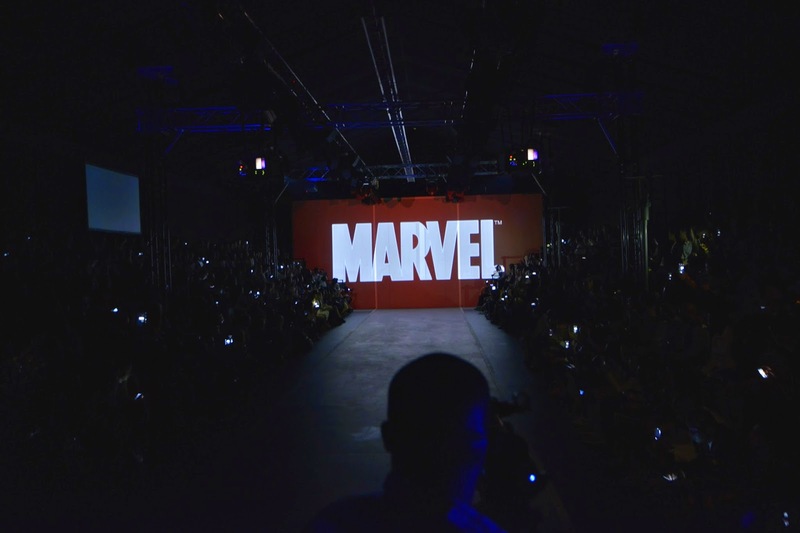 Each designer’s unique take on the Marvel brand and their incorporation of the Avengers characters showcased remarkable use of fabrics and materials, whilst playing with silhouettes, shapes and colours in both men’s and women’s fashion. 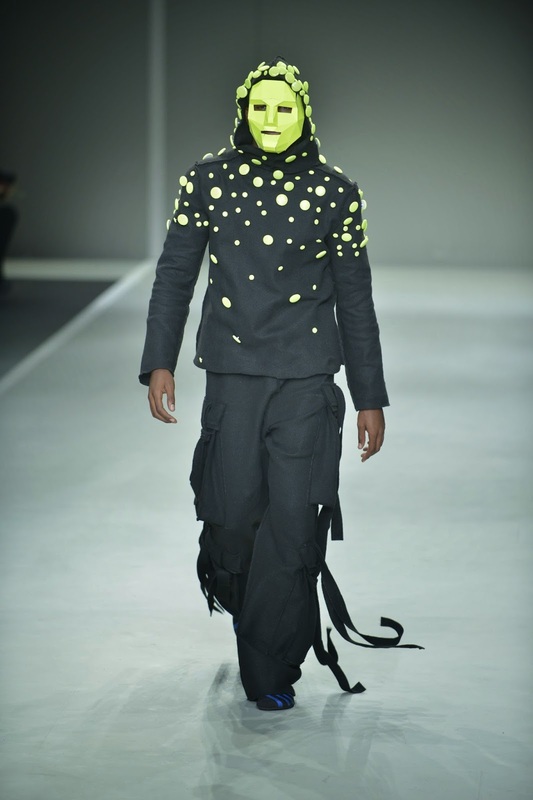 An exciting fusion of designs from across the continent provided eye-catching and celebratory pieces that included futuristic, traditional and contemporary elements mixed with a distinct blend of African themes and, of course, some daring twists. This is not Disney’s first foray into high fashion – even as far back as 1937, the company collaborated with Cartier for a piece inspired by Snow White and the Seven Dwarfs. Recent collaborations globally include the likes of Tommy Hilfiger, D&G, Castelbajac, Philipp Plein, Chopard, adidas, Havaianas and Desigual to name a few. Earlier this year, world-renown shoe designers such as Jimmy Choo, Manolo Blahnik and Christian Louboutin, revealed their own Inspired by Cinderella Shoe designs at the European Premiere of the film. 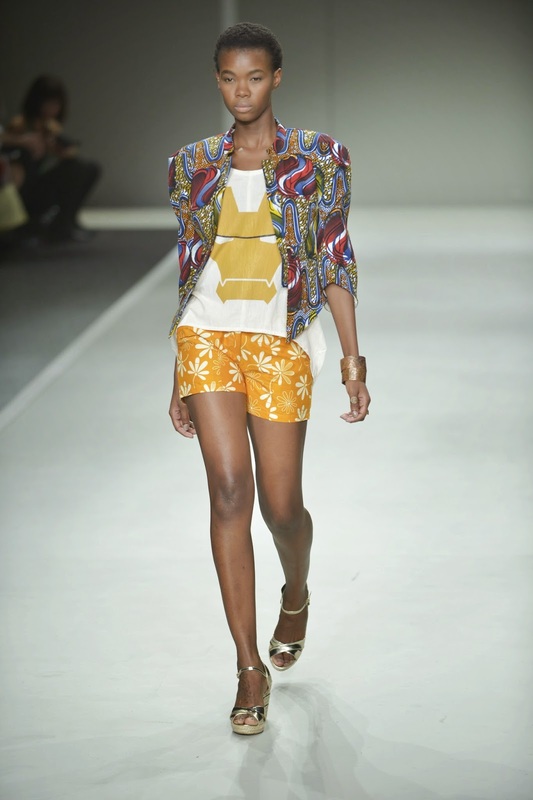 On the local front, 2013 saw Suzaan Heyns becoming the first designer on the continent to participate in the Inspired by Minnie campaign that debuted at SA Fashion Week in October. 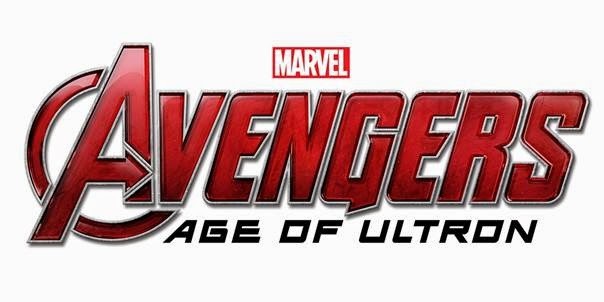 The Inspired by Marvel Collections mark the upcoming 24 April cinematic release of Marvel’s Avengers: Age of Ultron, the epic follow-up to the biggest Super Hero movie of all time. South African fans have an extra reason to celebrate as the hotly anticipated film features key action sequences shot entirely in Johannesburg. 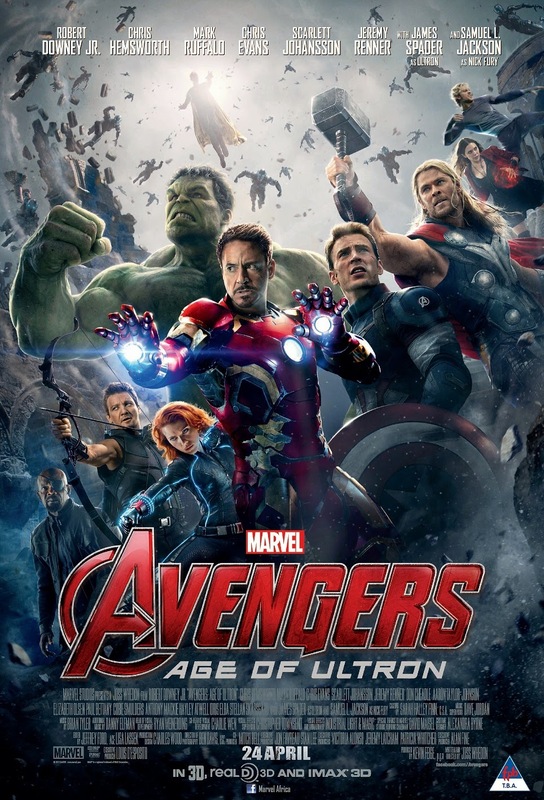 Marvel’s Avengers: Age of Ultron stars Robert Downey Jr. as Iron Man, Chris Evans as Captain America, Chris Hemsworth as Thor, Mark Ruffalo as The Incredible Hulk, Scarlett Johansson as Black Widow and Jeremy Renner as Hawkeye. Follow: www.facebook.com/MarvelAfrica To find out more about all things Disney, please visit the websites www.disney.co.za or www.disneyafrica.mobi. How are you tracking against your goals for 2015 so far? It requires a persistence effort to do so and smartphones these days helps us do so with their apps. Improving finances was the most popular goal from the survey results conducted by Microsoft South Africa because financial freedom is ultimately what we are all aiming to achieve. To help you achieve this goal, here is a list of some great apps from the Windows Phone store to help you better manage your finances and accomplish those goals set out for this year. Spending Tracker is the easiest and most user friendly Personal Finance App in the store. And best of all, it's free. The simple fact is, by tracking your spending you will be able to stick to a budget and therefore SAVE MONEY. This app helps you track your spending quickly and easily and it also offers an option of choosing to track weekly, monthly and yearly. So give it a try and have instant control over your spending. 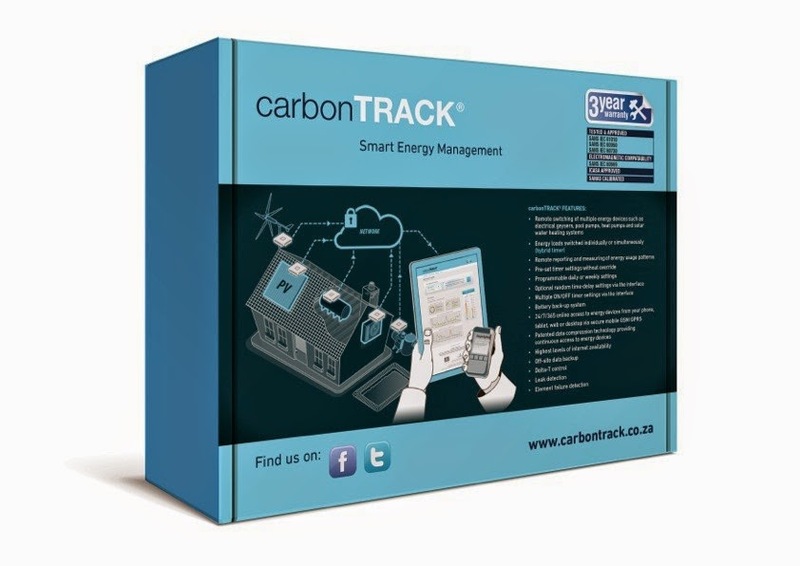 A multi-functional expense tracker and budget manager featuring the ability to track expenses by taking a photo. Just snap a picture of your bill, receipt, cash register total, or whatever is available when you are making a purchase. No fumbling around with your phone while you are paying your bill or checking out. 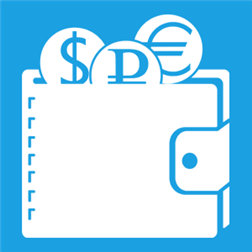 The Live Tile feature makes it easy to track your spending and manage your budget. You can know exactly how much you've spent and how much is left in your monthly budget simply by looking at the live tile on your home screen. My Budget is an easy solution to balance your accounts, track your expenditure, and manage your money and more. As a personal finance application one can enter receipts, assign each transaction to a category and to an account. My Budget day view, week view and month view gives you quick snap shot of your pending and upcoming activities. 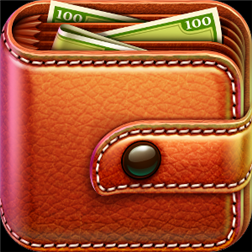 Money Wallet is a simple, useful and intuitive personal finance assistant with online synchronization between several devices. The application combines all your accounts in one place, monitors budgets and always reminds you about scheduled transactions. Financial freedom is what we all have to achieve and work towards. It keeps us happy and ensures our living continues as per our lifestyle for the times to come. A lot of books and websites are made to teach and guide those who seek the same. Keep looking and learn from them and finally do execute those ideas. Our life is a journey which we can’t travel alone. We need people to come into our lives from time to time and be with us for some of the journey. I was born in a joint family so was always surrounded by grandparents, uncle, aunts and a lot of kids. I was the eldest son of the family so I was the leader of the young force at our home. It was always my responsibility to take care of them and to save them from other kids who tries to beat them or make fun of them. My optimism and togetherness story is about the time when I was married and had a 6 months old daughter. It was the time when I had huge debt on my shoulders because of our MBA education loan and also my wife was not working at that time due to kid. My wife got job after some time and I was offered onsite to London and my daughter was 10 months old at that time. I had to leave for London alone as my wife just got job of her choice after a span of 2.5 years and didn’t wanted to let it go because of our financial obligations. I waited for more than 7 months to see both of them as I could only get holidays at that time and came back to India for Holi festival. I also wanted to get them their visas etc but there was a lot of documentation that needed to be taken and submitted. I tried to complete all formalities and came back to London. From that day onwards, I kept waiting for them to come to me and it took them another 4 months before they landed on Heathrow Airport in London. Our life is only wonderful if we are together or if we are with someone who loves and take care of us. Life is great with companion and family and is to be lived for those who want to be with you always. It’s during those times when you can’t access your friends and family in person, you come to know how much you miss them? I had my share of tears when I was staying all alone and it’s a part and parcel of my life. But being together – it all starts from the house we call home and check out these https://housing.com/ humble adobes which can change your life forever! Bluetooth devices have taken the digital world by storm. Each and every brand is producing some nice gadgets having the latest Bluetooth capabilities to enhance the customer's experience of rich sound and less battery consumption. Kinivo has been such brand that has always kept itself in the loop to produce some amazing gadgets at value for money proposition not only for themselves but also for the end users. 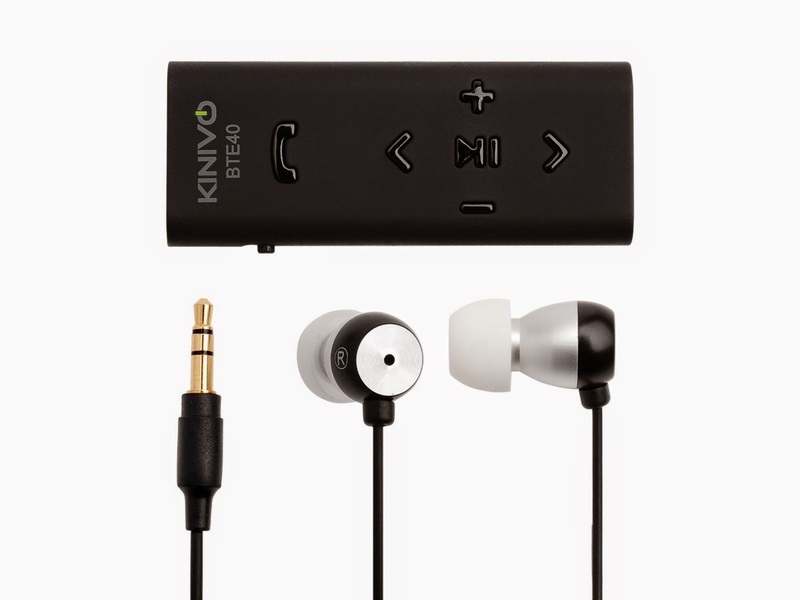 Kinivo BTE40 Bluetooth In-Ear Headset is designed to provide high quality audio wirelessly from Bluetooth capable devices. This device can be also be used to transform your home speaker system into a Bluetooth sound system with the BTE40 3.5mm audio output port. You can connect the BTE40's stereo output to your home theater and stream music from your smartphone or tablet. The BTE40 Bluetooth In-Ear Headset is ideal for listening to music wirelessly on the go from your phone or music player. The device has all the manual controls for your easy access to play, change and pause the songs as well as calling and accepting voice calls. 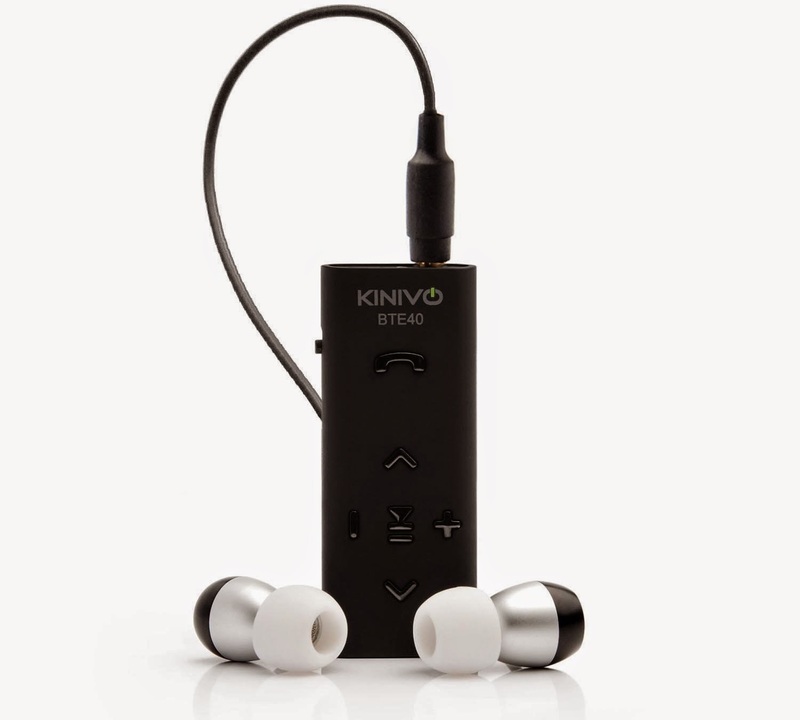 Kinivo BTE40 is very similar to Sony MW600 which I reviewed earlier in some of it's features. Kinivo BTE40 has micro-usb charging which is common these days for all the android phones and accessories. It helps as you need not carry any extra cable for charging the device. The best part is that it can be used with any of your costly headphones and to turn your car's speakers into bluetooth also. The device has red and blue LED lights to indicate low battery & charging status. The device gets charged fully between 2-3 hours and gives battery output of more than 5 hours of continuous music play. You can easily control your music player directly from the headset with functions such as play, pause, next & previous track, and volume controls. The buttons are easy to press and works perfectly great. On-Off switch on the side helps to save battery when the device is not in use. Kinivo has been a front-runner in making some nice devices for everyday use. BTE40 comes with two auxiliary cords (long and short) to match all your needs. Also the package contains a pair of earphones with once cord longer than the other one to go behind your neck but there are no extra pair of ear plugs of different sizes. The charging cable is provided in the package. The earphones that comes in the package are nice to use and will go a long way in your day to day usage. For better sound quality and performance, you can use your higher end earphones from brands like Sennheiser and Beats using it's 3.5mm audio output port. The user can easily switch between calls and music using this BTE40 as it comes with noise cancellation microphone. Also, it can be connected to two simultaneous bluetooth devices for example it can be connected to your video player on your tablet as well as receive call from your smartphone. There is an app for iOS devices called "Bluetooth Battery Meter" which shows the remaining battery capacity for this BTE40 main controller. All Kinivo devices come with a warranty of 1 year. 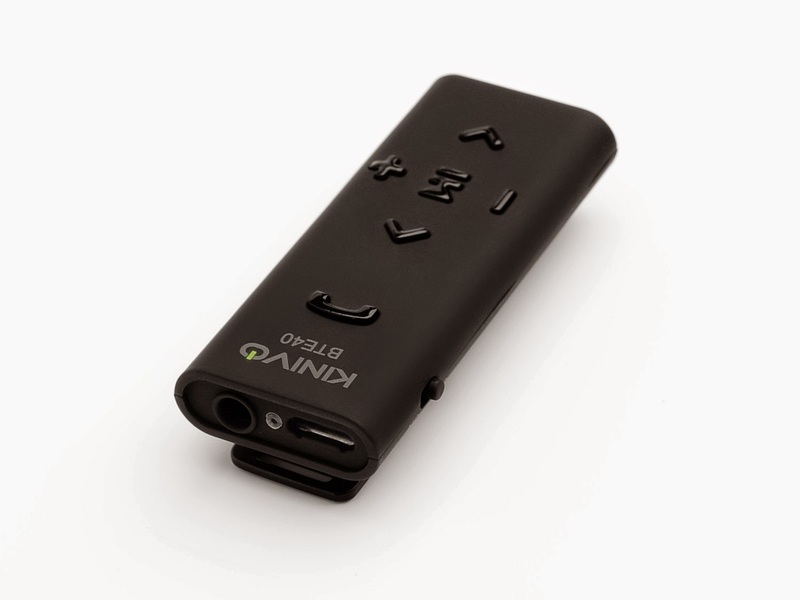 Keep an eye on Kinivo products if you are considering buying some bluetooth gadgets to enhance your audio experience at value for customer prices.